20 ltr, 25, 50, 210 ltr. 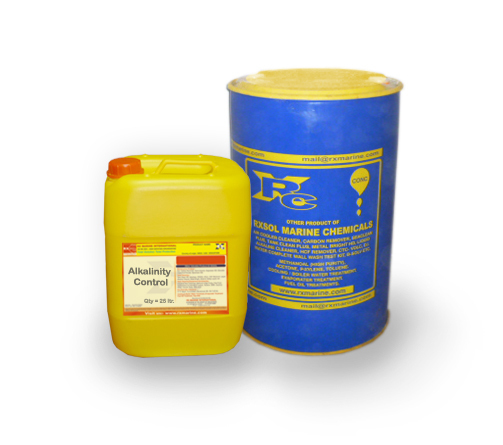 ALKALINITY control products. Principle Mechanism : It converts calcium hardness into soft, non-adherent sludge that is easily removed by blowdown. Determine the present alkalinity value expressed as ppm CaCO3 . Desired level of 100-150 ppm as CaCO3. A control test for the alkalinity of the water should be conducted after 3- 6 hours from the application. 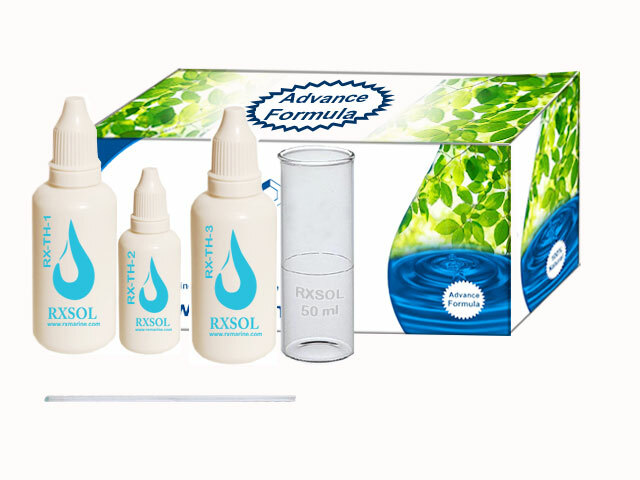 The presence of alkalinity in a water sample may be due to many different substances. However, for the sake of simplicity, the presence of bicarbonate, carbonate, and hydroxide ions is commonly considered as alkalinity. The points of change in colour of phenolphthalein and methyl orange indicators, which occur at pH 8.3 and pH 4.3 provide standard reference points which are almost universally used to express alkalinity. 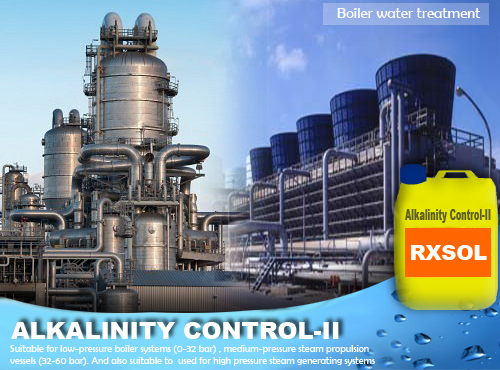 Very high alkalinity values can be undesirable in an industrial water supply. For example, the presence of a high methyl orange alkalinity should be avoided in boiler feed water because of the resultant carbon dioxide content of the steam. Carbon dioxide usually is responsible for the corrosion of steam and return lines. High boiler water alkalinities are also undesirable because the presence of high hydroxide ion concentration is the primary cause of caustic metal embrittlement. A very high boiler alkalinity can also lead to an undesirable carryover condition. 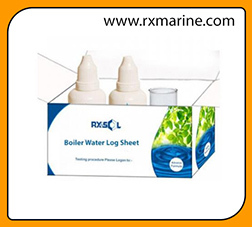 On the other hand, the alkalinity of boiler water must be sufficiently high to protect the boiler metal against acidic corrosion and to ensure precipitation of scale-forming salts. Usual treatment approaches include setting both a minimum alkalinity level and an operating range. Hydroxide alkalinity may be determined by adding barium chloride prior to titration to precipitate the carbonate ion from solution, allowing direct titration of the hydroxide alkalinity. 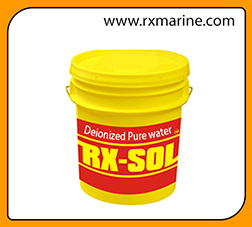 Measurement of hydroxide alkalinity is also used to control lime soda softeners. In cooling water systems, alkalinity is of major importance since the total alkalinity of a water is one factor that must be considered when predicting the tendency for the water to precipitate calcium carbonate scale. Depending on the choice of chemical treatments to protect against corrosion and scale formation, the operating alkalinity and pH ranges are chosen to balance these two features. This test is based on the determination of alkalinity by titration with standard acid to the phenolphthalein color change (or to a pH of 8.3) and to the methyl orange color change (or a pH of 4.3). For determination of hydroxide alkalinity only, barium chloride is added prior to titration to precipitate the carbonate ions. Titration is then taken only to the phenolphthalein end point. 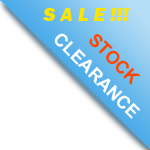 A pH meter may be used instead of the indicators to determine the end points of the titration. Alkalinity balace mechnism to control corrosion. 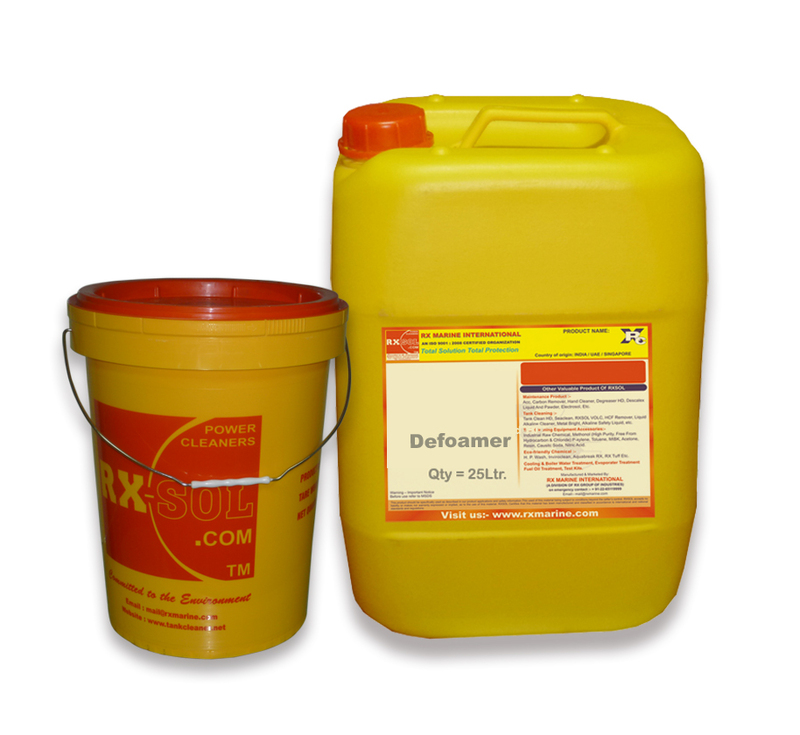 It converts calcium hardness into soft, non-adherent sludge that is easily removed by blowdown. Treated as good salt-scale controler product. 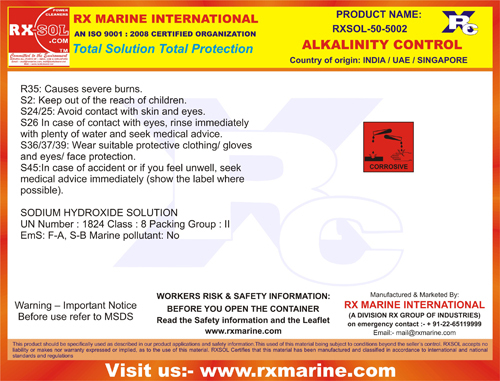 Tested with long and continious running plant for more then 20 Years and easy to apply and use. Avoid contact with any acidic / oily - FAT materials.